AND Celebrate our 30th Year! 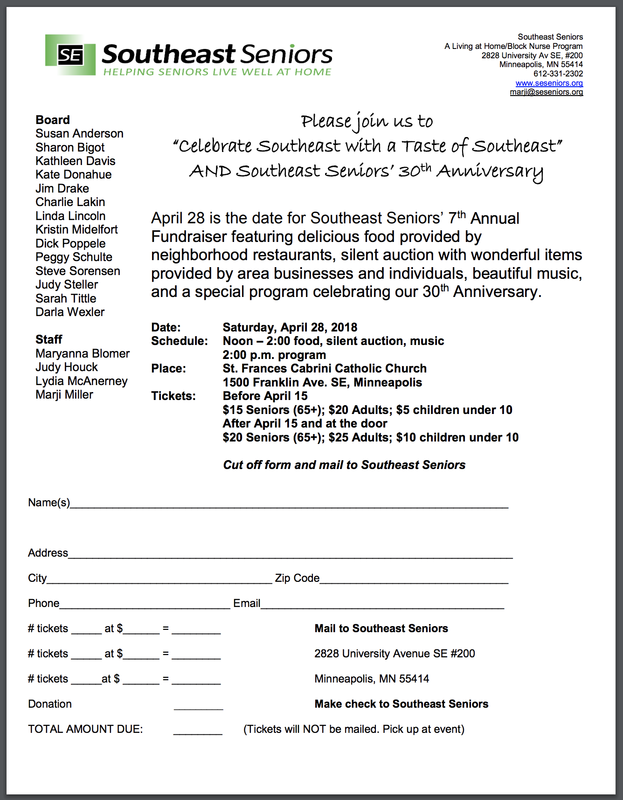 ​We'll celebrate some of the great things about Southeast - supportive community, wonderful volunteers, delicious food, beautiful music, and terrific donors and 30 years of supporting older adults at home. It includes our very popular Silent Auction! Check out the online Auction & Catalog to see what items we have this year, make bids and plan your strategy! Click Flyer/Form to view and download.